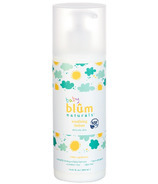 Blum pronounced [bloom] is a condition of vigor, freshness and beauty. 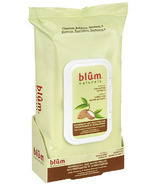 Blum is a new line of natural skin care products developed by Jean Pierre Cosmetics. 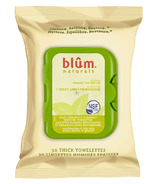 Blum Naturals is built on the simple things in life and uses ingredients found only in nature. Their products are infused with natural plant extracts, fruit sugars and nourishing antioxidants that leave skin clean and smooth. Their manufacturing processes are natural, energy efficient and environmentally conscious. They remain committed to the environment with recycled and recyclable packaging and use soy ink when possible for printing. They love animals and will never use them for any kind of product testing. 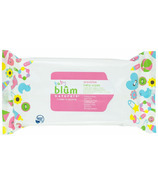 Their products are made with certified natural and organic ingredients, are hypoallergenic, alcohol free and pH balanced. By choosing Blum Naturals you are selecting products that are paraben-free, SLS free, and free of any kind of synthetic preservatives. They know that you deserve the pure goodness of Blum Naturals products and work hard to ensure that every item they produce is effective and gentle for any skin type.